Migration was at the centre of talks between Hungary's prime minister Viktor Orban and Austria's chancellor Sebastian Kurz Tuesday (30 January) in Vienna, as Orban has sought to recruit the young leader as his ally. 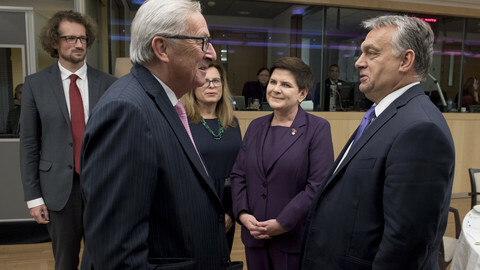 The two populist leaders agreed that "illegal migration" should be halted, and the EU's external borders need to be reinforced. The 31-year old Sebastian Kurz, who took office last December, said the EU's system to relocate asylum seekers across the continent does not work, an argument that echoes Orban's stance. "Illigal migration has to be stopped to be able to guarantee security," Kurz was quoted by the MTI news agency. 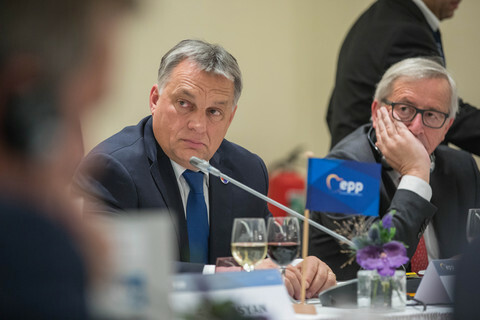 Orban, who is expected to win a third consecutive term in office in April, claimed that the biggest threat to Europe's future, and to the Christian culture, is migration. 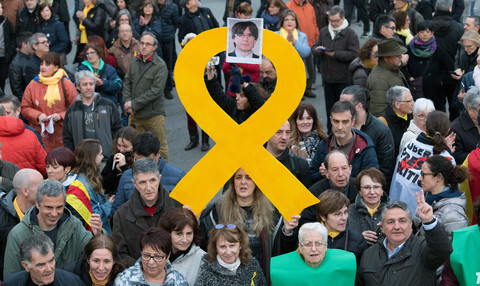 He added that in order to preserve the Schengen passport-free zone, the EU's external borders have to be protected. 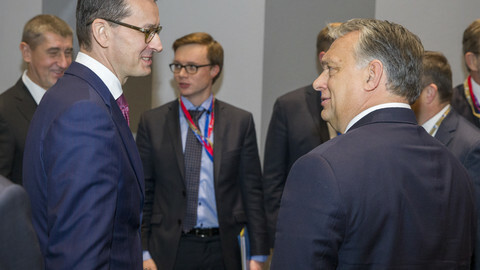 Orban and Kurz also talked about Hungary's Paks nuclear plant expansion which received the go-ahead from the EU Commission last year but which Austria – a staunchly anti-nuclear country – is now suing at the EU's top court, the European Court of Justice. The two leaders also talked about Austria's decision to cut child benefits for EU workers, many of whom come from neighbouring Hungary, causing an outcry by the Budapest government. The question for Europe is whether Austria will pull Hungary, which has been backsliding on rule of law and democracy, back towards the centre, or will Budapest nudge Vienna towards its own nationalistic ways. Kurz, 31, led Austria's conservative party to victory last October, and secured a coalition in December with the far-right Freedom party, making Austria the only western EU country to have a far-right party in government. 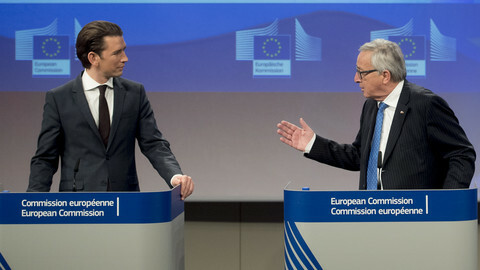 Kurz made his first visit to Brussels as chancellor just before Christmas, where EU Commission president Jean-Claude Juncker was willing to overlook the new government's far-right members and strong anti-immigrant stance for assurances that Austria will remain pro-EU. The Freedom Party's Heinz-Christian Strache, now vice-chacellor, has been arguing for Austria joining the Visegrad Four (the Czech Republic, Hungary, Poland and Slovakia), and move away from its traditional allies. Kurz for now reiterated – after telling German chancellor Angela Merkel the same earlier this month – that Austria could serve as a 'bridge' between the V4 and western European countries. 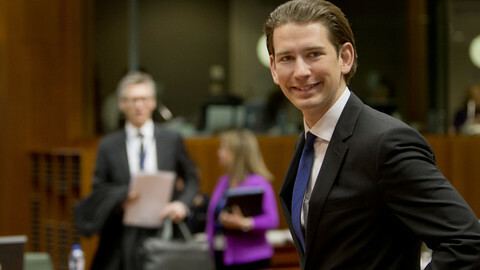 Kurz said Tuesday that the possibility of Austria joining the V4 group is not on the agenda. Orban arrived a day after Dutch populist politician Geert Wilders visited him in Budapest and called the Hungarian leader – whom critics accuse of curbing free media, dismantling democratic check and balances – a "hero". 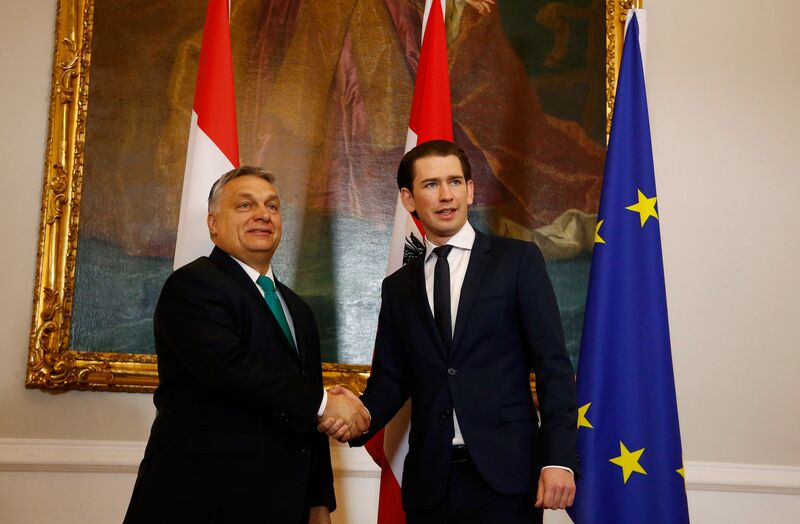 Kurz also expressed gratitude to Hungary for closing the Western Balkan route, where a million migrants crossed in 2015, and defending the EU's external borders. Hungary has erected a fence on its southern border with Serbia and Croatia in 2015 to keep out asylum seekers. Orban went to Vienna to expand the circle of his friends within the EU. While Kurz might seem less friendly than his anti-immigration campaign perhaps suggested to Budapest, the Hungarian leader can count on one more ally in opposing the EU's migrant relocation scheme. "Our common goals are stopping illegal migration, and strengthening subsidiarity in the EU we have common goals," Kurz tweeted after the meeting. But added: "Austria can and wants to make a contribution to reinforce cohesion in the EU and reduce tensions."